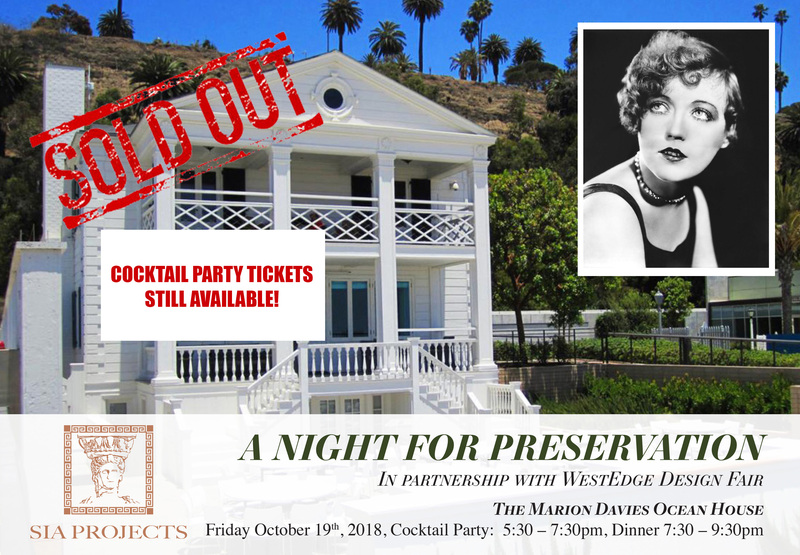 Join Save Iconic Architecture in an evening of celebrating the preservation of notable architecture and design. interior designers, architects and influencers. Meshing his love for grand displays of wealth with Marion’s love of people and partying, William Randolph Hearst decided to give Marion a play palace of epic proportions on “The Gold Coast.” He began to buy up choice ocean front lots, fifteen in all. The humorist Will Rodgers, determined to teach Hearst that he couldn’t always get what he desired, refused to sell him a tiny corner lot until Hearst agreed to pay an astronomical sum for it. W.R. hired art director and production designer William Flannery to design the fairytale-worthy main mansion. Julia Morgan, Hearst’s favorite architect, was pulled away from her main projects of San Simeon and the Wytoon retreat near Mount Shasta, to design the 110 foot long pool and the large guest house. Marion soon transformed the stately mansion, called simply “the Beach House” or “Ocean House,” into Hollywood’s wildest and most happening private club. Everyone from Winston Churchill to Marion’s good friend Charlie Chaplin Pola Negri and Rudolph Valentino, Kirk Douglas, Don Rickles, and the and the wealthy Annenberg family frolicked at Ocean House.